Frank Filograna is an italian reggae dj & producer based on Salento (South Italy). He is 31 years old, but already active from about sixteen years. At the beginning he was a component of ​”​Selection Master​”​, a very musically prolific crew​ from his area. Secondly, he founded ​his label “Filomuzik​”​ and soon after it becames part of the independent “Unemployment Records”, with witch he realizes many international collaborations publishing roots and dub vinyls. ​Actually he is a member of ​”​Veebrazion​”​, an historic local sound system​ from Salento and​ also responsible for programming and promoting musical events in his peninsula. His style is a roots/dub with a touch of hip-hop and soul, influenced by the Jamaican and Uk scene. Among his productions we can often find also remixes. In this field, when Frank is attracted by some specific world success, he tries to reinterpret them in very personal reggae-hiphop key. 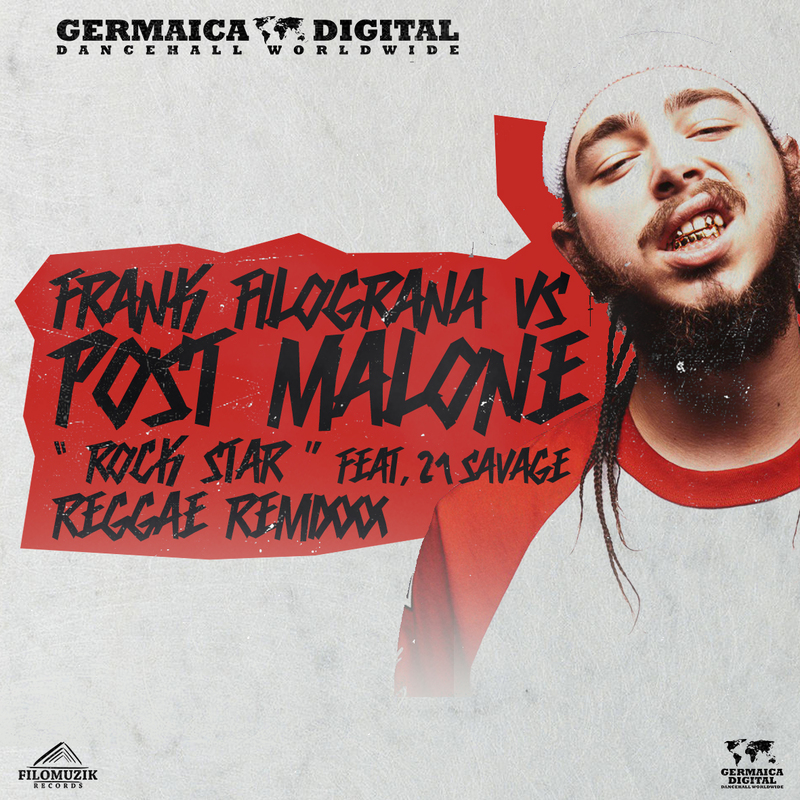 This is also the case of “Rockstar”, whose melody of the refrain and the Post Malone flow have captured Frank so much to take him, together with Adriano Sure, to give life to a captivating version of this worldwide hit. Then, Frank Filograna started the collaboration with Fabi Benz, a popular dj’s and producer from Germany. This link up allowed Frank to meet the boss of Germaica Digital (the prestigious german label well known for the production of Riddims as Doctor Darling Riddim) that decided to produce it.